MICROS is a leading global provider of end-to-end cloud-based solutions for the hospitality and foodservice industries. This information will enable restaurant operators to compare projected numbers in Ameego with actual numbers from MICROS to better understand how their businesses are performing. 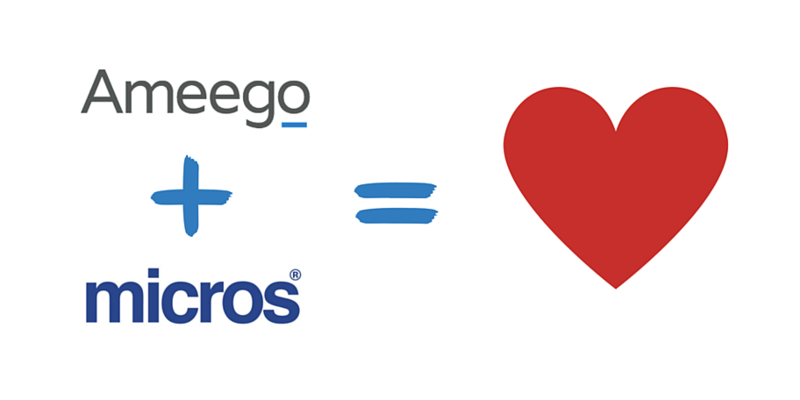 For more information about integrating Ameego with your Micros POS, please contact us at (800) 770-7319. Or tell us a bit about your company, and one of our team members will be in touch shortly! Ameego provides online scheduling, labor control and staff communication tools to the restaurant industry. Its solutions help streamline restaurant operations to reduce costs and improve profitability. Ameego is proud to serve nearly 1,000 restaurants across North America. For more information visit www.myameego.com. MICROS (NASDAQ: MCRS) offers a range of software, hardware and related services along with rapidly growing cloud solutions to manage hotels, food and beverage facilities, and retailers. MICROS' proven and innovative technologies are built and serviced by more than 6,600 employees with deep domain expertise and are in use across 330,000 customer sites in 180 countries. For more information visit www.micros.com.